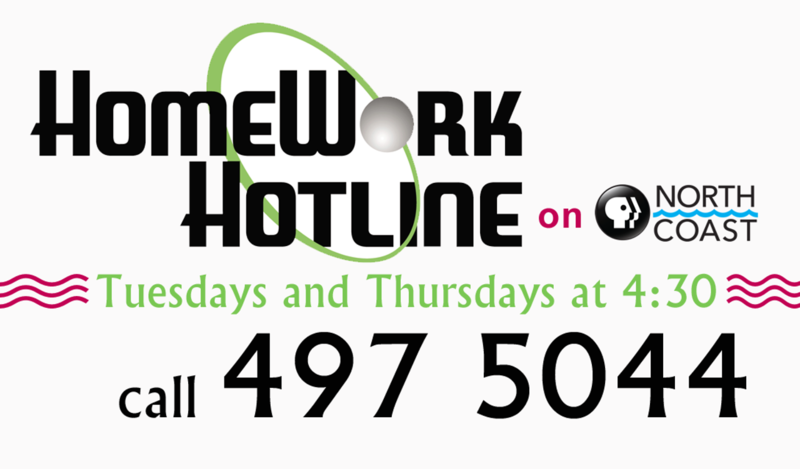 HomeWork Hotline is on the air this afternoon on PBS North Coast beginning at 4:30. HomeWork Hotline is the number one place to go for students who are seeking help with math and science questions. Local teachers dig through their trunks of knowledge to provide answers to questions. Call 707-497-5044 and watch HomeWork Hotline on KEET-TV.